Despite it being the second most used application on my work computer (behind the Mozilla Firefox browser), it’s still impossible for me to get excited about a new edition of the Microsoft Office suite. With the final release due in a couple of months, Microsoft have provided a beta test version of Office 2010 that’s free for members of the public to download. The beta test version will run unhindered until October 2010 at which point users must decide whether they wish to purchase the final release or have it removed from their hard drive. For the costs involved the majority of home users may still be better off with the free OpenOffice Suite (www.openoffice.org) as it should provide all the features you are likely to need at no cost. This having been said, the Office Suite has remained a popular flagship product over the years due to business users often requiring a specific function or application only present in the Microsoft offering. I, for example, use Outlook on a regular basis and haven’t yet found an alternative that suits my needs. Having not been the biggest fan of Office 2007 (especially the ‘ribbon’ interface discussed in the past) I wasted no time downloading the 64-bit professional version of the beta to put it through its paces. I have now been using it for a couple of days it does appear notably faster than Office 2007 and certainty incredibly stable. The speed increase could easily be attributed to the fact that a 64-bit version of the application is now available to run on modern 64-bit computers. 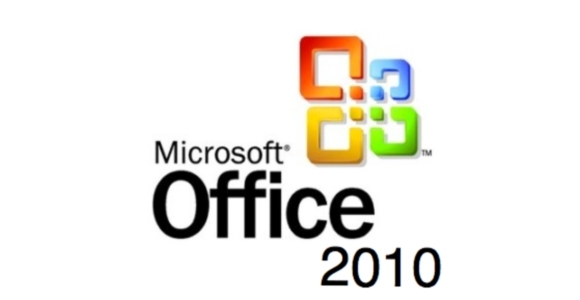 Office Professional 2010 includes Word, Excel, PowerPoint, InfoPath, OneNote, Outlook, Access and Publisher. The home edition (also currently available in beta) includes Word, Excel, PowerPoint, Outlook and OneNote. After the official release, computer manufacturers may choose to bundle new machines with a starter edition of Office which includes just Excel and Word; this version of Office will replace the aging Microsoft Works Suite. Although the ribbon interface remains, it is certainly a lot clearer than that provided with Office 2007; the confusing Office orb has been replaced with the familiar file menu, there are fewer distracting borders, a neutral colour scheme and most importantly it is customisable to the users individual tastes. The applications look and behave like a ‘family’ now and have become more intuitive to use as a result of the more refined user interface. An important new feature due for release in the final version but missing from the beta is the ‘Web Apps’ which will extend the Office functionality to a compatible web browser. Very similar in form to Google Docs, Office Web Apps allows users to collaborate, edit and share Office documents online. This is an incredibly important new feature that has no doubt come about due to the success of Google Docs and one that I would like to field test when complete. This article isn’t long enough to go in to details about minor new features so I will summarise by observing that the changes made from Office 2007 to Office 2010 are evolutionary rather than revolutionary; very much in the same way that Windows 7 was an evolutionary change compared with Vista. Excluding the Web Apps there is nothing substantially new however the minor improvements are certainly welcome as is the chance to road test a new piece of software completely free of charge for a year. Users interested in downloading the beta version of Office 2010 should visit www.microsoft.com/office/2010 to get their hands on a copy.